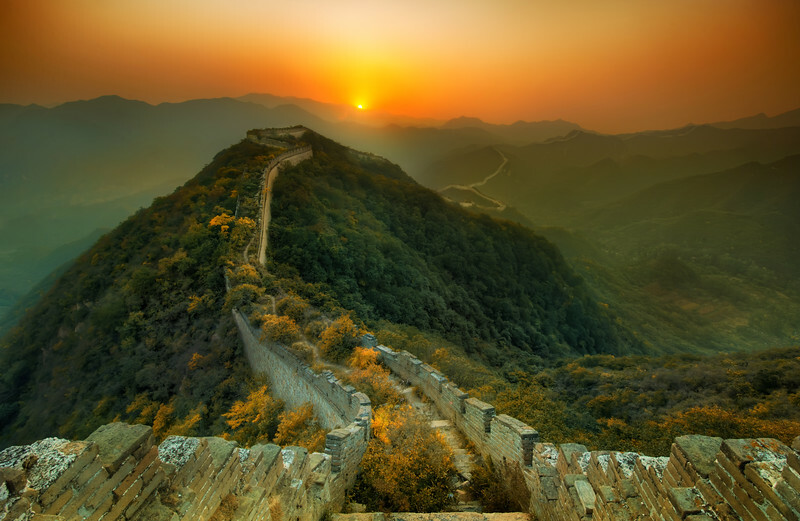 This is one of the original parts of the Great Wall. Other parts have been rebuilt by the government in some fake Disney-esque way to please tourists. Most of the Great Wall is like this, as nature is slowly reclaims what stands in its way.